Join Luke and #teammalek in Meridian, Idaho at the first televised debate for Idaho’s Congressional District 1 candidates. Invite friends and family and show Luke your support! COEUR D’ALENE, Idaho — Fatbeam, LLC today announced that it has closed a deal with a regional carrier that will place 100 route miles of fiber from Liberty Lake, Washington to Bonners Ferry, located in Boundary County Idaho. Not unique to the industry, Fatbeam does not disclose the actual carrier name to respect confidentiality in fiber routes as well as security concerns. The new fiber network agreement, which is valued at an estimated $2 million, will connect Eastern Washington to North Idaho within miles of the Canadian border, and discussions are already in place to connect the network to Canadian carriers. Additionally, in 2017 Fatbeam won a fiber service contract with Boundary County School District (BCSD) to deliver broadband service between its school locations. The project earned accolades from the Federal Communications Commission board and staff as a rural broadband success in North Idaho. The BCSD project is heavily reliant on state matching funds provided by a broadband bill championed by Idaho State Rep. Luke Malek, who is currently running for Congress in Idaho’s First Congressional District. Fatbeam is the industry leader in the western U.S. in delivering fiber infrastructure for best-in-class connectivity to schools, businesses, healthcare and governments in rural and mid-sized communities. The company currently operates networks with nearly 400 fiber route miles in more than 35 markets spanning Idaho, Montana, Washington, Oregon, Wyoming, Arizona and Nevada. For more information, visit: www.fatbeam.com. March 29, 2018 (Coeur d’Alene)- Former United States Senator Larry Craig has endorsed Luke Malek, a three-term Idaho State Representative, for Congress in Idaho’s First Congressional District. As a past Chairman of the Senate Committee on Veteran’s Affairs, Craig said Luke Malek’s unwavering support of veterans was a major factor in securing his endorsement in the District 1 Congressional race. Craig served 18 years in the U.S. Senate and 10 years in the U.S. House of Representatives. As a dedicated public servant, Craig understands what is required of a long-term, effective congressman for Idaho’s First Congressional District. “I know Luke will be the most effective advocate for Idaho, and that no one will work harder for our great state than he will.” said Craig. Republican Representative Luke Malek was raised in Idaho, and served in the Idaho House of Representatives for six years. In the Legislature, he is known as a pro-life conservative that has earned “A” ratings from the NRA in all of his re-election races for the Idaho statehouse. He has fought prominently in some of the biggest fights Idaho has had against the federal government and regulations… including fighting alongside Governor Butch Otter to keep Obamacare out of Idaho. He is a small-business owner, employer, and a former prosecutor. 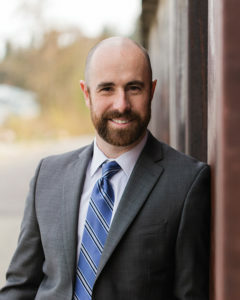 He has worked for the Office of the Governor as the Regional Director in Northern Idaho under Governor Risch, as the Executive Director of the Post Falls Urban Renewal Agency, and as a Deputy Prosecutor for Kootenai County. He earned his B.A. at College of Idaho in Caldwell, holds a law degree from the University of Idaho and is a member of the Idaho State Bar. He resides in Coeur d’Alene, Idaho, and he and his wife, Tara, enjoy spending time together taking in all our wonderful state has to offer. He is running for Congress to fight for Idaho’s future with effective, conservative solutions. Learn more about Luke Malek and the campaign, including endorsements, at www.lukemalek.com. A northern Idaho native running for Congress visited St. Maries to meet with local industry leaders, and spoke on his plans for the future. Rep. Luke Malek (R-Coeur d’Alene) visited Benewah County March 2 as part of a state-wide tour of communities. He was invited by PotlatchDeltic Corporation to tour their facilities and meet with administrators and staff. The representative said that his willingness to listen to constituents and businesses in the state has been a hallmark of his six years in the Idaho House of Representatives. Seeking further input from Idaho’s communities, Rep. Malek will tour the state in the months leading up to the election, speaking with constituents and listening to the issues they have. Mark Benson of PotlatchDeltic said the corporation supports Rep. Malek in his bid for the vacant District 1 seat in the House of Representatives. Rep. Malek said a common theme among Idaho businesses is a desire to reduce regulations on industries to promote growth. He said he will work to address their concerns if he is elected. Rep. Malek’s desire to invest in Idaho’s economic growth includes the expansion of vocational education. He said he has been glad to see vocational education programs that have arisen in Idaho over the last few years. He praised the St. Maries School District’s partnership with PotlatchDeltic and North Idaho College as an example for other districts. Rep. Malek said he intends to take an active role in lawmaking which affects Idaho. He plans to be on the House’s agriculture committee, where he would have influence over farm bills which impact Idaho’s agricultural industry. He also said he would direct resources toward transferring federal lands to local and state management. The representative also said he would continue to ask local residents and businesses for their input during his tenure. In addition to his tour of Idaho communities, he said he has held more town halls than any other legislator during his six-year tenure – a practice he hopes to continue in Congress. Rep. Malek will face a crowded field for his party’s nomination during their May 15 primary. The 2018 election will take place Nov. 6. COEUR d’ALENE — A North Idaho legislator who is a former prosecuting attorney has teamed with law enforcement to oppose a recently passed House bill seeking to quash mandatory minimum drug sentences in Idaho. Rep. Luke Malek, R-Coeur d’Alene, said the move to adopt House Bill 581 is short-sighted and is being considered without any input from the state’s police. He said that if it becomes law, the bill would open the door to more drug dealing and organized crime in North Idaho because the mandatory minimums now keep many of those predators away. After eight hours of debate Monday, the Idaho House voted 46-20 to rid Idaho of its mandatory minimum drug sentences if a judge finds the sentence would cause a “manifest injustice,” and the mandatory minimum sentence is not necessary to protect the public. Under current law, people arrested with a pound of marijuana, two grams of heroin, 28 grams of cocaine or methamphetamine and who manufacture meth, are subject to mandatory minimum prison time. Legislators Rep. Christy Perry, R-Nampa and Rep. Ilana Rubel, D-Boise, argue that the mandatory minimums take away the discretion of judges who may, after reading a defendant’s criminal history, find that the mandatory sentences are not warranted. Perry and Rubel say mandatory minimum drug sentences often miss the mark because they are based solely on the amount of drugs in a person’s possession. The law disregards a defendant’s criminal history, or lack thereof. The current law targets drug weight as opposed to intent. When Idaho adopted mandatory minimum sentences in 1992, legislators were caught in the wake of the national war on drugs, Perry said. “We have since learned that addiction is a disease and we know more about it now than we ever did in 1992,” Perry said. But legislators who adopted mandatory minimums added a clause giving judges the final word, she said. When the law was challenged and changed, the safety valve was removed. Nationally, mandatory sentencing laws have filled prisons, she said. “There have been massive increases in our prison populations,” she said. Malek disputes the claim that the current law is responsible for an influx of felons in Idaho prisons. Over the past 13 years, 107 people, or about eight annually, have been sentenced in Idaho because of mandatory sentencing guidelines, he said. “There are no examples of someone who has been wrongly incarcerated,” he said. Having mandatory minimum sentences for drug trafficking sends a message, Malek said. Studies that use prison telephone calls and confidential informants have shown that Idaho’s strict sentencing guidelines for trafficking act as a deterrent for organized crime. Calling mandatory minimum sentencing “a bizarre outlier in our jurisprudence … it’s not how we do business in our Idaho courts,” Rubel said the notion that lifting the mandatory minimums would cause an increased wave of trafficking. Full article at The Sandpoint Reader here. Editor’s Note: This week’s profile features State Rep. Luke Malek, who is running for U.S. representative for District 1. SR: Thanks for taking time out of a busy day to talk to us, Luke. You’re running in a pretty packed Republican primary for Idaho’s U.S. representative seat in District 1. What do you think you need to do to distinguish yourself from the other candidates? Rep. Luke Malek, R-Coeur d’Alene. Courtesy photo. LM: I think the thing that distinguishes me from the pack is my reputation for being a hard worker. The reality is many people in Congress are going to work to solve hard problems, and that’s the reputation that I’ve built in the (Idaho) Legislature — that of a problem solver. Everything we’ve faced on a state level, I’ve been a leader on solving those issues and working with anyone that is willing to work toward a solution to make tomorrow better. SR: So when it comes to the issues that need work, what are you seeing as your priorities? Let’s start on the state level. LM: Well, I think health care is still one of the biggest issues, and the reality is we need to move toward more local and state control, we need better outcomes and above all we need lower costs. And that means we need to have more access in an affordable way. The reality is the federal government can’t provide that, so we need changes at both the federal level and the state level to help facilitate those outcomes. SR: On that subject, what do you think of the health care proposals Gov. C.L. “Butch” Otter put forward and its recent failure in the Legislature? LM: That was pulled from the floor yesterday and sent back to committee because they didn’t have enough votes. I am a fan (of the proposal), and what I’ve always fought for is more local control. What that bill did was say, “Listen, we have the ability to maintain and manage our insurance market better than the federal government can, so give us (that) authority.” Sadly, we didn’t do that, because I think that bill would have been really good at giving us more state power to reduce the cost of health care for all Idahoans. I’m disappointed it got pulled, and I hope something changes. SR: Do you think changes can be made to the bill this session, or will it be kicked down the road to next year? LM: I’m hopeful it will happen this year, I really am. But I don’t know that it will. I think it’s too early to say, and I think if anything happens, it will be toward the end of the session. SR: As for issues on the federal level, what do you think are the biggest concerns facing the country? LM: I think health care is a federal issue as well. We need representatives that are going to go back and work to give states and localities more control, to get the government out of our doctor-patient relationships. … The other thing is that we have to work to build collaboratives. Just because the federal government has authority doesn’t mean that it has to cut the state out of the decision-making process. Federal land management is the number-one example of that, and we have the ability at a state level to help federal government manage land better. SR: When it comes to Congress’ failure to address the health care issue, what has tripped them up on that and what can be done to address it? LM: We need a commitment from lawmakers that they’re going to work on solutions. The reality is that you have certain lawmakers that blow up any solution, but they never bring anything to the table. We need lawmakers who will take a conservative state-and-local approach to this and work on solutions. SR: In the middle of that debate is the Trump Administration, which certainly has its own style of operation. How do you see yourself working with that administration? LM: This administration has done a fantastic job of beginning to roll back regulations that have not been pushed by Congress but have been pushed by agencies. We need good regulations, but we don’t need frivolous regulation, and that is something that has been the hallmark of my legislative career. I’ll be aligned with the Trump Administration on that. When it comes to making Idaho a better place, the president will not find a more willing partner than me. SR: What issues specific to Idaho do you think need to be brought to the forefront in this administration? LM: You have to look at our traditional industries here in Idaho and see where the federal government has been stopping job creators from creating jobs. You look at mining, timber, agriculture, manufacturing, and you look across the spectrum from regulation to trade agreements to taxes: What are the federal policies that are keeping job creators from creating jobs that pay a good wage? SR: With so many opponents in the Republican primary for this seat, where do you think the momentum is in this campaign? LM: I think the momentum is in our favor. … People want members of Congress that will work on solutions. What we’re hearing as we spread our message is people want a conservative who is willing to work hard, skin their knuckles and do the hard work to make solutions happen. SR: North Idaho is an area of the state that often gets overlooked, but being from here, you have a unique ability to engage with the region that other candidates might not. How are you reaching out to these voters? LM: These are the people I grew up with. I was the northern regional director for the office of the governor, so I built a number of relationships from the Canadian border to Lewiston. I grew up hear in the Post Falls-Coeur d’Alene area, I spent time up in Sandpoint and my law firm has an office in Sandpoint. This is home to me. No Congressman has been able to say that since the 1950s. SR: It’s still a long way to the primary election. What will your campaign do to stay engaged with the voters? LM: We’re going to be doing everything we can to be spreading the message that we are going to work hard to come up with solutions for the problems that face the country. That’s what resonates with voters, and that’s the reality that we need people to understand. So we’ll do everything we can to push that message out … in social media and in person. We’re going to be traveling all over the district talking about my successes in the Legislature and what our district will look like if I’m in Congress. SR: What are some of the most valuable experiences in your professional and public career you bring to the table? LM: Being a small business owner has been among the most informative experiences to me. You need to navigate what success looks like not only for my business but for the people relying on it. That’s the reality most Idahoans who are voting are looking for. SR: Is there any message or topic we didn’t go over that you want to send out to voters? LM: I grew up in Idaho, and I want my kids and grandkids to grow up in Idaho. We need a good relationship with our Congressman to set our state up for the brightest future it can have. I don’t need to do this. I don’t want to live in Washington, D.C. But the reality is someone needs to put in the hard work to ensure we’re building a bright future, so that’s why my wife and I decided to do this. When Antje Cripe searched to find a meeting spot for Monday’s League of Women Voters of Kootenai County gathering, she was shocked at the response of one business. The treasurer of the nonpartisan political organization was told if the meeting was going to become politically contentious, the group may not be able to meet there. 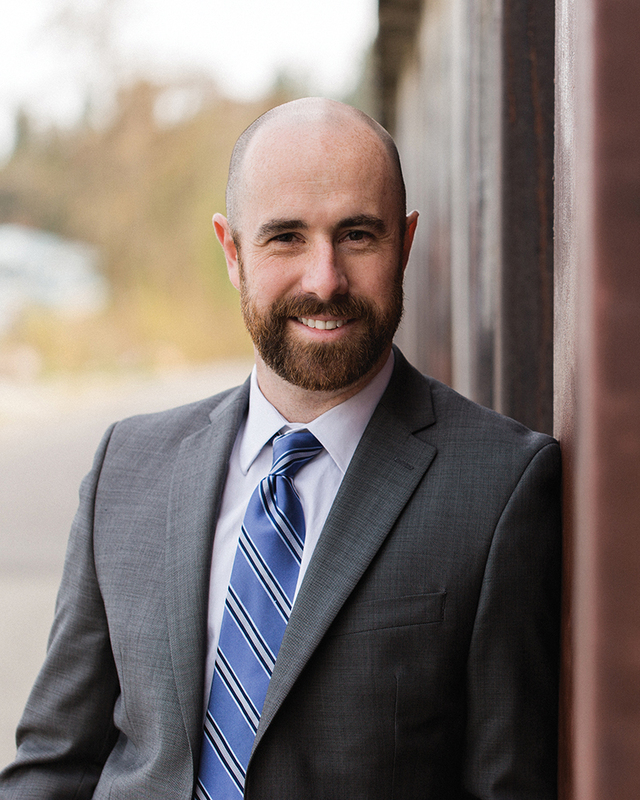 Rep. Luke Malek, R-Coeur d’Alene, has made it official: He’s running for the open 1st District congressional seat next year, the third big-name Republican to enter the race. At just 35, the three-term state representative and attorney is considerably younger than his two top GOP rivals, former Idaho lieutenant governor and attorney general David Leroy, 70, and former Meridian state Sen. Russ Fulcher, 55.